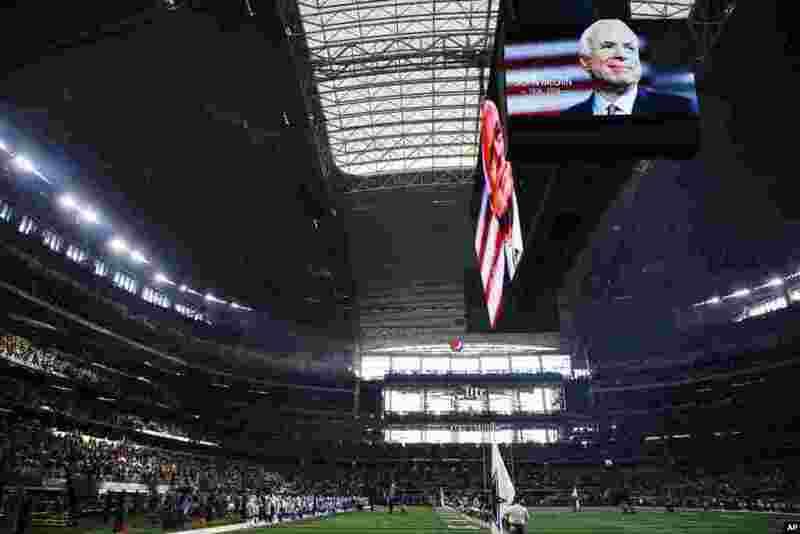 Makeshift memorials are building in Arizona, Washington D.C. and Vietnam, in honor of Arizona Senator John McCain, who lost his battle with brain cancer on Saturday, August 25. He was 81. 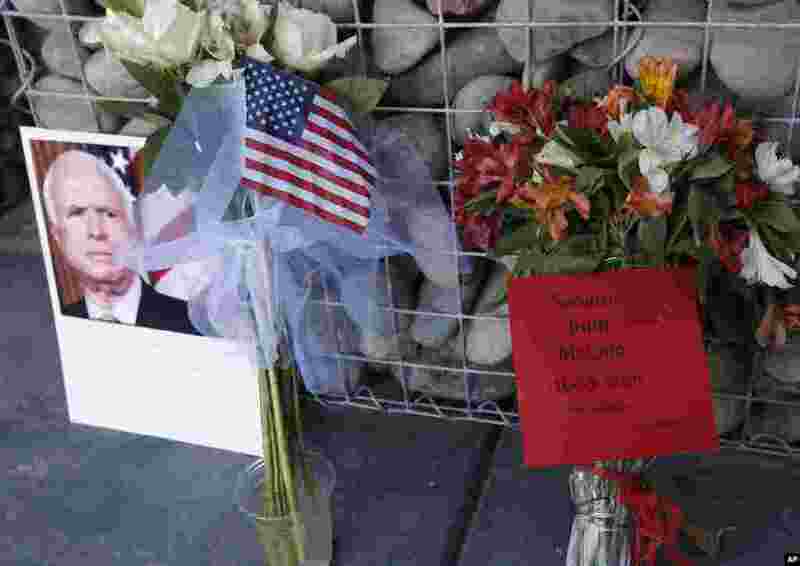 1 A makeshift memorial builds at the office of Arizona Republican Sen. John McCain, Aug. 26, 2018, in Phoenix. 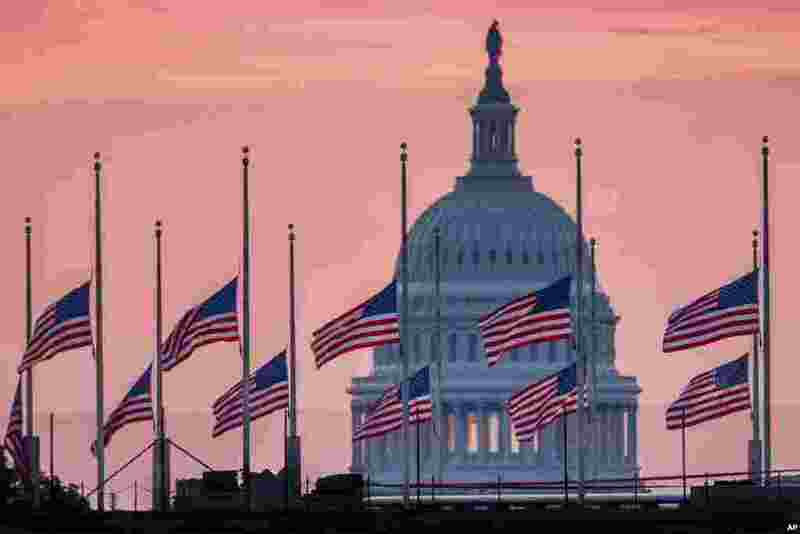 2 Flags flying a half-staff in honor of Sen. John McCain, R-Ariz., frame the U.S. Capital at daybreak in Washington, Aug. 26, 2018. 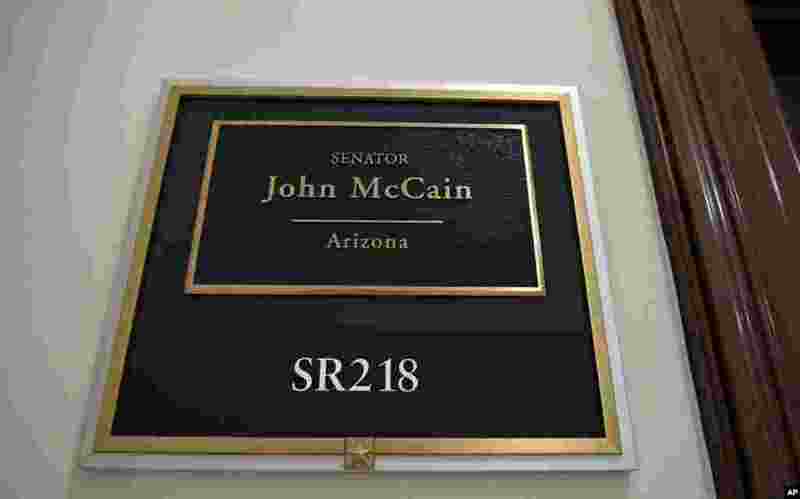 3 The sign marking the office of Sen. John McCain is seen on Capitol Hill in Washington, Aug. 26, 2018. 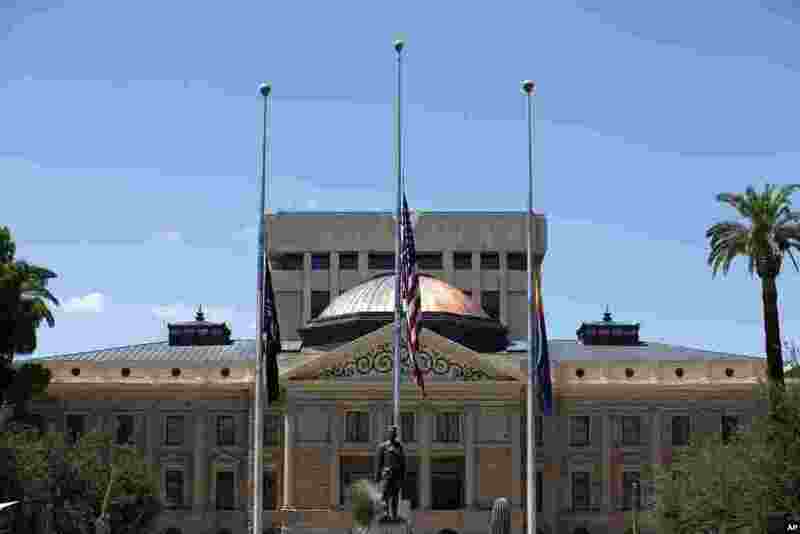 4 Flags fly at half-staff at the Arizona Capitol in memory of the late Arizona Republican Sen. John McCain, Aug. 26, 2018, in Phoenix. 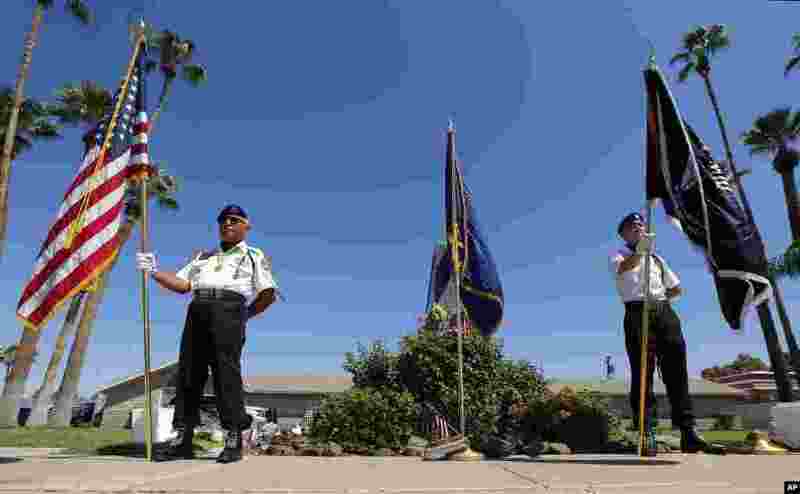 5 Members of the POW-MIA-KIA Honor Guard organization stand in front of a local mortuary keeping the late Arizona Sen. John McCain, Aug. 26, 2018, in Phoenix. 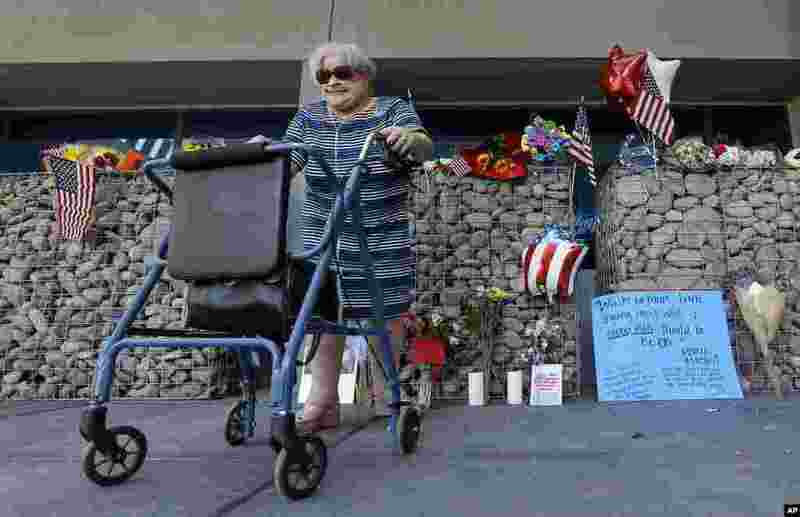 6 A woman walks from a makeshift memorial after paying her respects at the local offices of the late Arizona Republican Sen. John McCain, Aug. 26, 2018, in Phoenix. 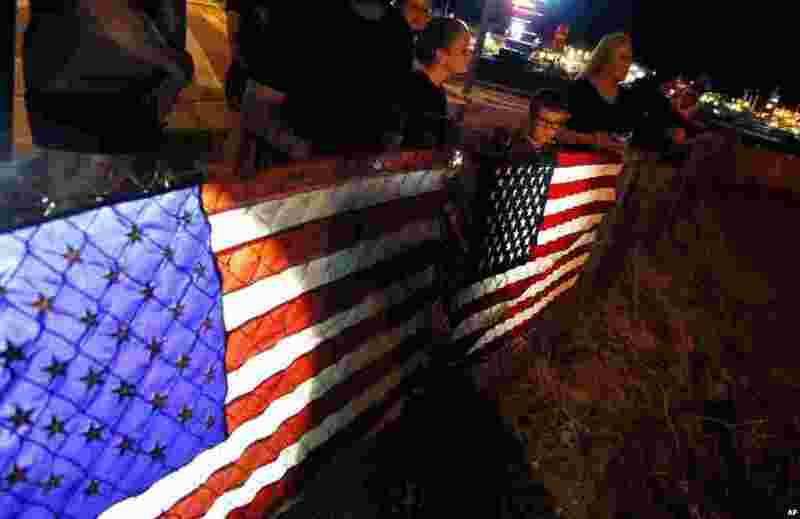 7 Victor Ramos, a Mexican man who has been living California for the past 35 years, lays flowers at the monument of U.S. Senator John McCain in Hanoi, Vietnam, Aug. 27, 2018. 8 U.S. 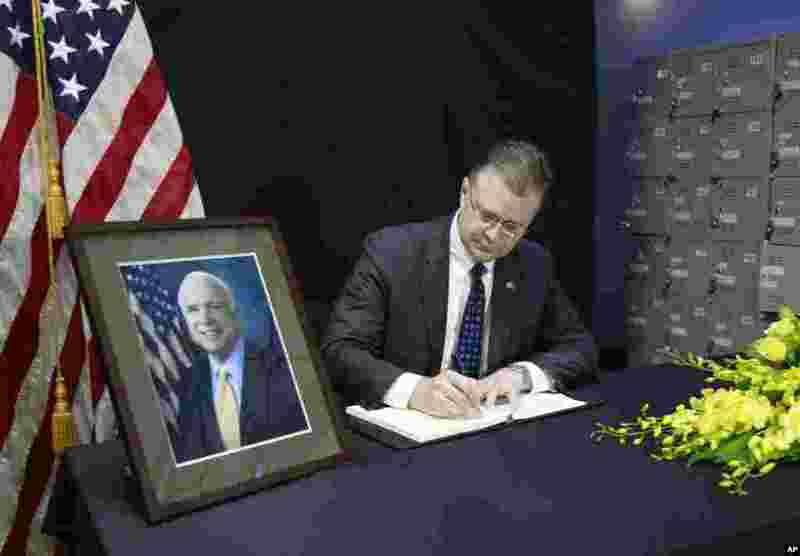 Ambassador to Vietnam Daniel Kritenbrink writes a note in a book of condolences for the late U.S. 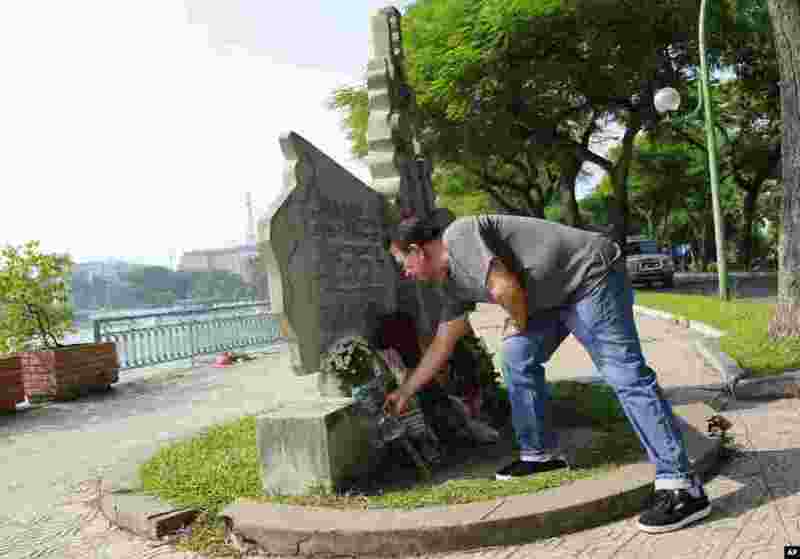 Senator John McCain in Hanoi, Vietnam, Aug. 27, 2018. 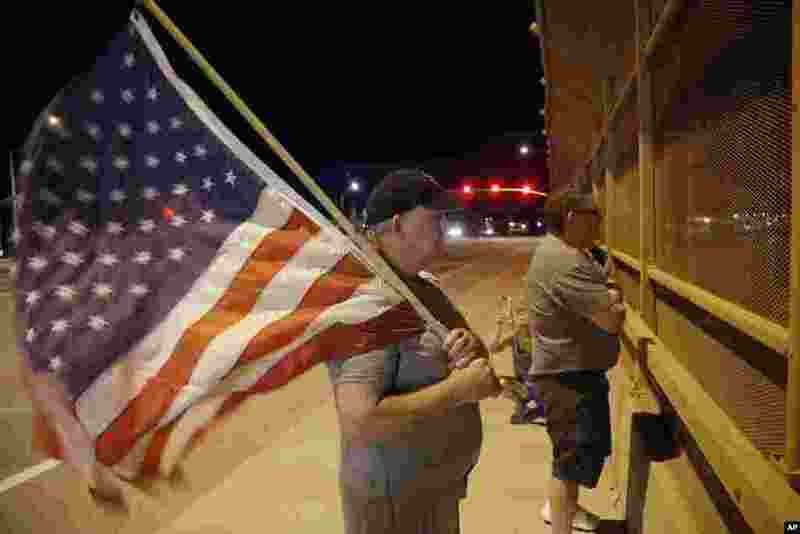 9 Dozens line Interstate 17 as they wait for the procession with the hearse carrying the late Arizona Sen. John McCain, Aug. 25, 2018, in Anthem, Ariz.
10 Joe Gruber, of Anthem, Ariz., holds an American flag at an overpass along Interstate 17 as he and dozens of others wait for the procession with the hearse carrying the late Arizona Sen. John McCain, Aug. 25, 2018, in Anthem, Ariz.
11 Former Senator John McCain is memorialized before a preseason NFL football game between the Dallas Cowboys and the Arizona Cardinals in Arlington, Texas, Aug. 26, 2018. 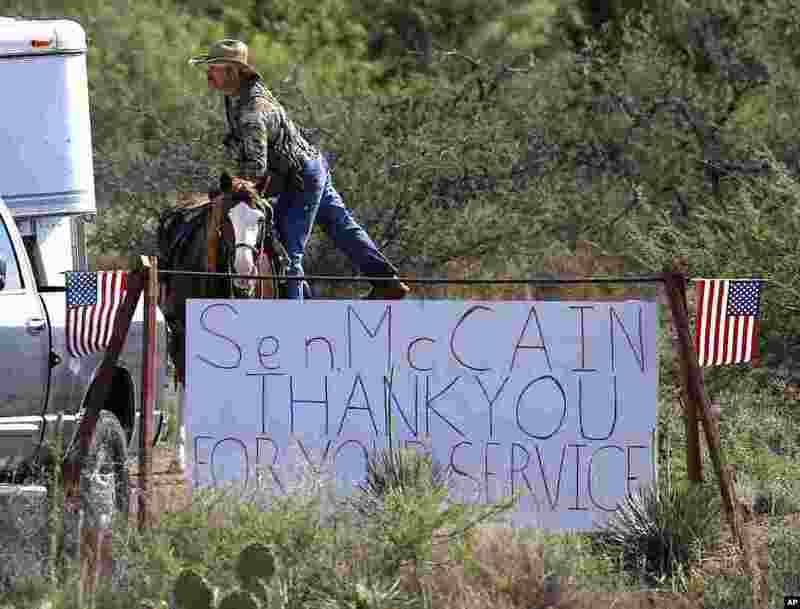 12 A rancher gets off his horse at the entrance to the McCain ranch complex, Aug. 25, 2018, in Cornville, Ariz.